The project involved the design and fabrication of functional art seating by prisoners at Parklea Correctional Centre under the direction of Russell (artist and designer) and staff at the Centre. A consultative design process was carried out with prisoners with the design for the anthropomorphic furniture created around the capacity of the metal workshop facilities. Prisoners added their own individual designs to the seating via labour-intensive patterning, welded with stainless wire, then polished to contrast with the mild steel body. 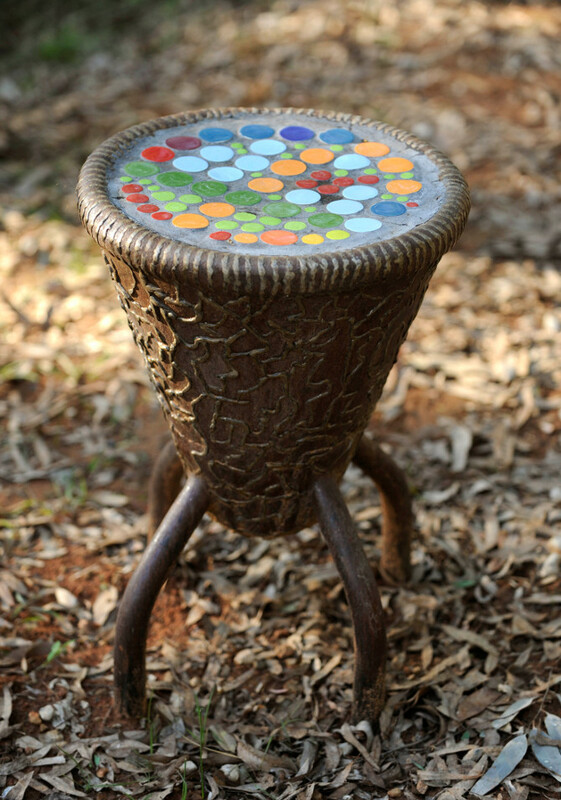 They also created the mosaic designs for the tops of the chairs and tables.